So you can listen to music the way it’s meant to be heard, Logitech announced additions to its MetroFi line of Ultimate Ears by Logitech® earphones. The new MetroFi 170 and MetroFi 220 noise-isolating earphones deliver customized comfort that’s perfect for listening to music on an iPod®. While ear buds sit at the opening of your ear, Ultimate Ears by Logitech earphones deliver customized comfort by creating a “magic” seal between your ear and the outside world, dramatically limiting ambient noise. So you can hear your music clearly without being cut off from the world around you, both the MetroFi 170s and the 220s provide 16 dBs of noise isolation. 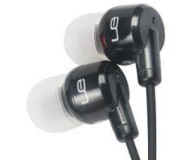 exceptionally accurate sound quality. From the lush timbres of your favorite pop vocalist and the bass-heavy thump of the latest hip-hop hit to the rich palette of symphonic music and the bright percussion of your favorite world beats, MetroFi earphones transform the MP3s on your MP3 player into musical magic. With three silicone ear-cushions to choose from, you’re sure to find a fit that makes the MetroFi 170 or the MetroFi 220 earphones perfect for you – and your busy life. 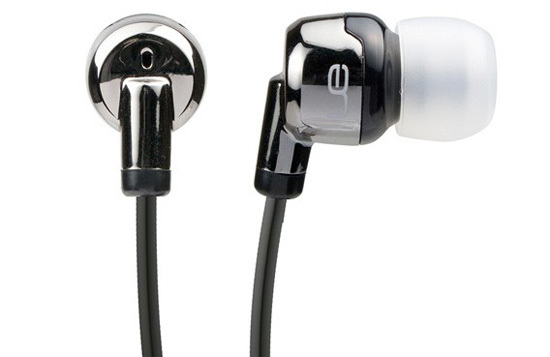 But the MetroFi 170 earphones offer more than just comfort. Based on award-winning Ultimate Ears sound engineering, the 170s deliver authentic sound quality that helps ensure you’ll hear your music clearly. Featuring a titanium-coated speaker that delivers a crisp sound signature, the MetroFi 220 earphones give you a fuller mix with more detail in the higher-frequency range for deeper bass and clear treble. For your convenience, the 170s and 220s also include a red-colored right earphone to help you distinguish between left and right earphones. In addition, a pocket-sized carrying case protects your earphones and doesn’t add bulk or drag to your day. 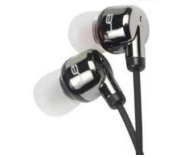 All MetroFi earphones are compatible with any iPod digital device, MP3 player or laptop with a 3.5 mm jack. The MetroFi 170 and the MetroFi 220 earphones are available in iPhone™- and BlackBerry®- compatible models – the MetroFi 170vi and MetroFi 220vi earphones – with voice-integrated technology. For handsfree calling, the MetroFi 170vi and MetroFi 220vi earphones offer a miniature high-performance microphone that lets you easily switch between making calls and enjoying music and video on your iPhone or BlackBerry. Answering and ending calls is as easy as pushing a button. All new MetroFi earphones come with a 1-year limited hardware warranty. The suggested retail prices for the MetroFi 170 and the MetroFi 220 noise-isolating earphones are $49.99 (U.S.) and $79.99 (U.S.), respectively, and the suggested retail price for the MetroFi 170vi and the MetroFi 220vi earphones are $59.99 (U.S.) and $89.99 (U.S.), respectively. These Ultimate Ears by Logitech products are expected to be available in February in the United States, Australia and New Zealand.